It’s about time for the second part of the Nairobi Tech Spaces series I started sometime back with Nairobi Garage// Westlands, check it out if you haven’t. Obviously from the title, today we explore/discover iHub. iHub is probably one of the earliest community tech spaces launched back in March 2010 and we can say that it has spurred a revolution in the tech ecosystem in our country. I requested a tour and set a date with Mr. John Paul. He was kind enough to take me through all the projects and spaces that are all under iHub, some of which I will spin off to another article as they are slightly independent. 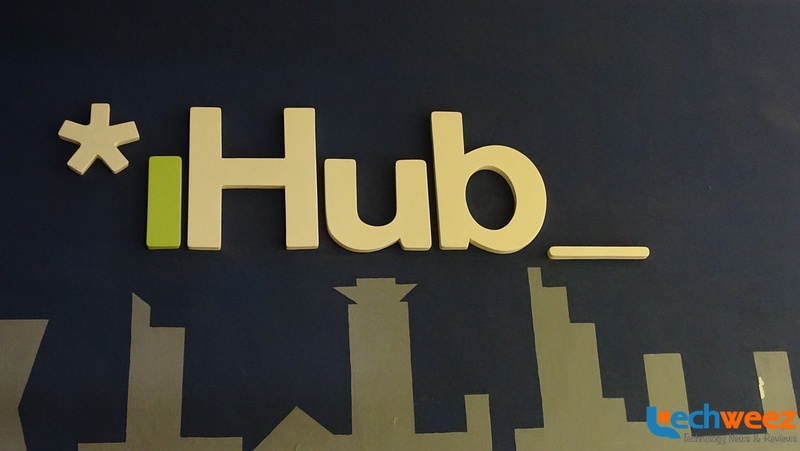 I had been to iHub before, but solely for events, so I have never really got to know what iHub is in its entirety. This was my chance, and I have to say, I finally got its appeal and why so many techies decide to come here. First thing I noticed when I entered the room was how full it looked. Of course, I didn’t expect it to be empty, but neither did I expect it to be packed. Clearly people’s heads were turning and ideas were being made into reality. Before I got lost in my own mind full of thoughts, a guy with the biggest smile and warmest handshake came to me from a desk with a ‘talk to me’ sign. Almost thought he would hug me by how friendly he was, or did he know me? Doubt it. I told him I was here to see John Paul and he immediately took me to a lounge chair as he went up some steep set of steps to get John. I silently prayed that I didn’t have to go up those steps. Ladders/stairs are not my friends. As I sat there waiting, I went ahead and scanned the room with the hopes of figuring out what everyone was so busy on their computers creating. There are also a number of recreational facilities on the space, from a Foosball table, a TV and a number of books in some shelves and probably the softest carpet I’ve stepped on in a while. I think I know where I’d spend most of my time here. for a quick pick me up, there is a mini- coffee bar that can serve you up a shot of refreshing ‘wake-me-up’ espresso as you carry on your day! John Paul came down those scary steps wearing the quirkiest and coolest shoes I have ever seen, those that are somewhere in between socks or shoes as each toe is tucked in in their own tiny compartment. I wish I took a photo of them. Anyway we set off and he told me about iHub. Now iHub is a community that encourages collaboration and sharing ideas to build on. A number of individuals working on their ideas come here and get to interact with others and can decide to form a team and work on one solid idea. So if you have an idea and want help formulating it and at the end realizing it, this kind of environment is perfect for you. There are various types of membership in the iHub community, based on your specific need. He went on to describe white membership which is the the easiest and most common type of membership. Almost anyone can be a white member and they are basically the virtual network that follow on Twitter, Facebook and receive the newsletter. White members can attend open and selected closed events as well as get access to the space one day a week. Last group of members are the Red members. These are the SMEs that feel the need to contribute to the iHub by paying for their chair and permanent space, but he was quick to mention that one just doesn’t become a Red member because they can pay, rather it is based on the kind of relationship they have with iHub. Like I stated before, he took me to a number of other spaces under iHub, all in the same building but I think I will introduce them separately because each is unique in its own way and offers something different. I just stood there, camera in hand waving and smiling, getting no smiles in return hoping that none of them expected me to take professional shots, hoping that I didn’t have to go up those steps to take aerial shots. Long story short, I found myself scaling those steps not once but TWICE! I left my phone up there the first time. So that is it for a iHub. My take away from this space is that it is centered on a community to create exciting, innovative solutions that many can be a part of! Next articleWith tough requirements for drones in Nigeria, what do Kenya’s Draft regulations propose?